I used this balloon as a photo prop for my three-year-olds birthday and I wanted to add some tassels. Now, if you plan to use tassels for a garland, I would recommend making a tassel more like this. For that tutorial, the top of the tassel looks more finished. When adding it to a balloon, you don't really see the top of it and you want to make sure that it is stapled to the balloon string. 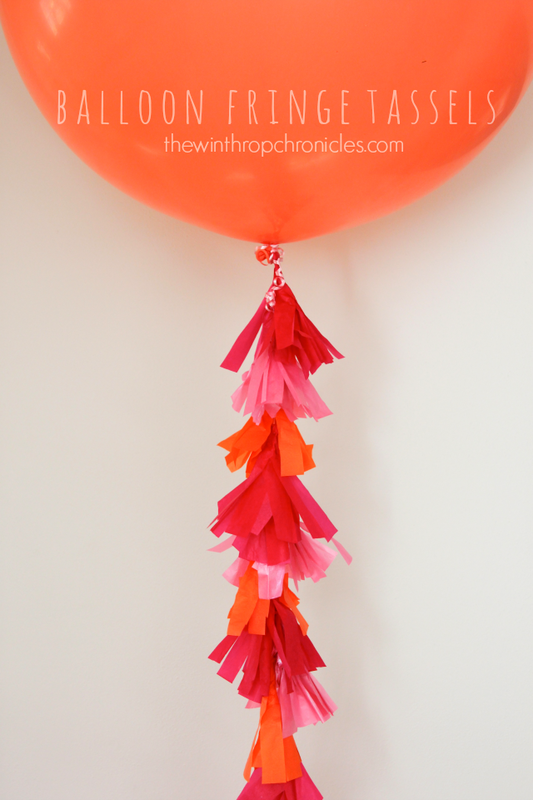 So this is the easiest way to make a tassel specifically for a balloon. Continue that method with the other tassels, making sure to staple the next one high enough so that the one above it covers the staple.